January 10, 1810: World’s Greatest Love Affair Ends in Divorce! On January 10, 1810, Napoleon Bonaparte, Emperor of France, divorced Josephine, Empress of France, the only woman Napoleon really loved. Digging deeper, we find Napoleon and Josephine married March 9, 1796 beginning a love and lust filled marriage marred by indiscretions by both! Napoleon, arguably the most important mortal man in history (the subject of more books than any other man, other than Jesus) married Josephine and later crowned her Empress, a title he refused to strip her of even when they divorced. Josephine, actually born Marie Josephe Rose Tascher de La Pagerie (no wonder Napoleon just called her Josephine! ), was 6 years older than Napoleon and had already given birth to a son and a daughter. The daughter, named Hortense, later married Napoleon’s brother, making her both his step-daughter and sister-in-law! Alas, Josephine did not bear Napoleon the heir that he craved, neither male nor female, and Napoleon felt compelled to divorce and remarry someone who would produce children for him. Reluctantly, the royal couple divorced and just a couple months later Napoleon married Marie-Louise, saying, “I married a womb.” Clearly, Josephine was his true love, although both he and Josephine famously engaged in affairs. Napoleon’s children left no significant lineage for him after all, but Josephine ended up becoming a significant source of royal offspring, including Napoleon III, royalty in Brazil and Russia, and the current royal heads of several European countries (Greece, Norway, Luxembourg, Sweden, Belgium and Denmark). Josephine, called Rose before Napoleon “renamed” her, died in 1814 without knowing of all those illustrious descendants. 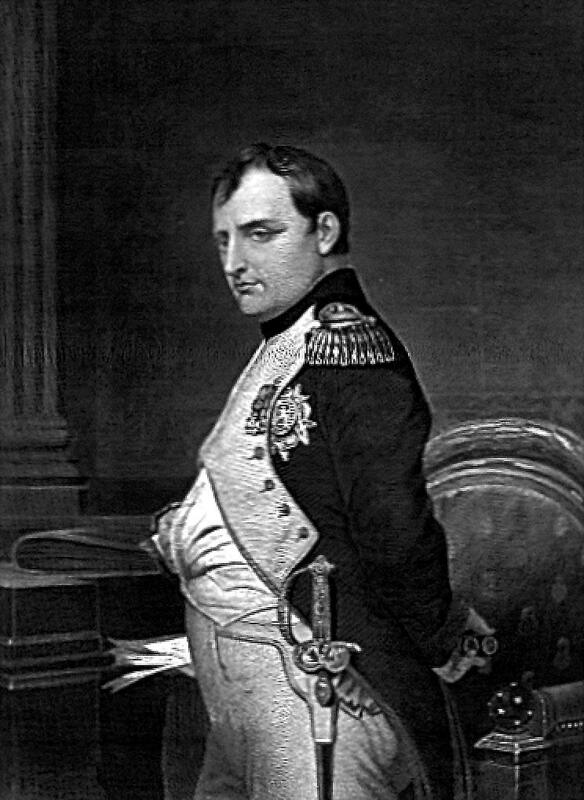 While in exile, Napoleon pined for Josephine and was never visited by Marie-Louise. With his final breath, he spoke the name Josephine!